I grew up in a busy family of five where money was pretty tight. As such, dinners in our house were kept on a budget, usually one-pot meals, and needed to be able to feed a family of five pretty easily. This meant we had a handful of standby dinners that usually appeared on a weekly or rotating basis: spaghetti, hamburger helper, meatloaf, stuffed shells, cavatini, and my personal favorite: tuna noodle casserole. 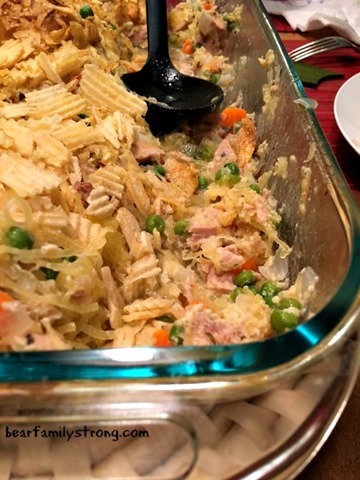 I don’t know what it is about egg noodles, cream of celery soup (my mom tried using cream of mushroom once but my dad wasn’t having any of it – he sniffed that out before he even took a bite), and canned tuna; but tuna noodle casserole night was one of my favorite dinner nights in our house. I haven’t had tuna casserole since moving out of my parent’s house for college in 2000, but for some reason lately I’ve been craving it. Unfortunately, since I stopped eating grains/gluten after meeting my husband in 2011, tuna casserole is off the menu. 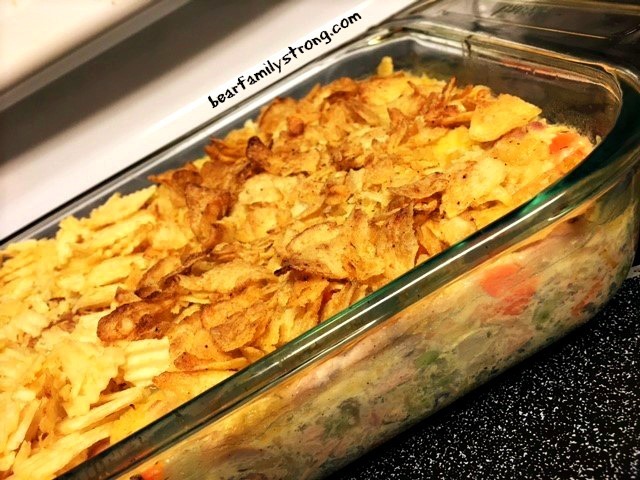 Fortunately, I have a slight pinterest addiction and one day I happened upon this beautiful “Paleo Tuna Casserole” post from Jay’s Baking Me Crazy. Tuna casserole made with spaghetti squash?! How did I not think of this on my own?? 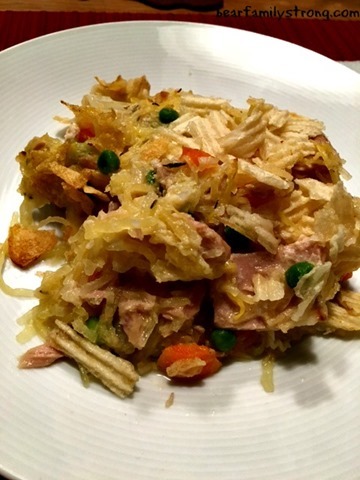 Welcome to the latest addition of Foodie Flattery: Paleo Tuna Noodle Casserole from Jay’s Baking Me Crazy. Gaah. So good. So worth it. It was so good in fact, that my eight-year old not only ate his entire portion without complaint, but ALSO told me that I should make it again. MAJOR. WIN. I was a little skeptical about using coconut milk – not because of the potential taste, but because I was worried it wouldn’t get thick and the casserole would end up too soupy – but as it turns out I had nothing to worry about. Using arrowroot powder as a thickener and adding eggs to the casserole before baking was the perfect way to hold everything together and as I suspected, you couldn’t taste the coconut milk at all. Bottom line, this casserole was everything I hoped it would be and more. One bite and I was transported back to my parent’s kitchen table, fighting with my sister over the gooey melted cheese my mom used as a topping for her own tuna casserole. In this version we used crushed chips as the topping, which was equally delicious. Here’s the link again for the recipe I used – I omitted the mushrooms and used a bag of frozen peas and carrots instead (based on the way my mom used to make it – my dad abhors mushrooms). 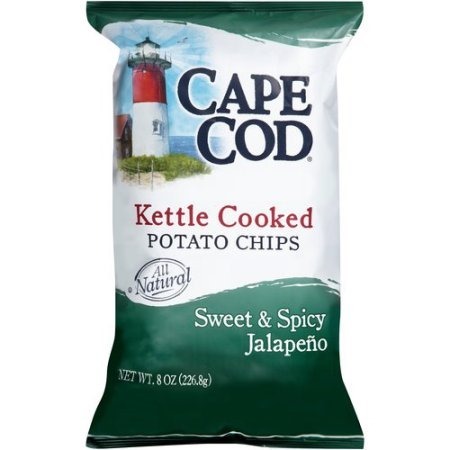 Next time I think we’ll use both – and I highly recommend using these sweet and spicy jalapeno potato chips to top your casserole. Yum. *Note: To make this a Whole30 approved dinner, simply omit the chips. Trust me, it will still be comfort food delicious. Posted on 14 November 2016 10 November 2016 by BeePosted in Dinner, Foodie Flattery, One Pot Meals, Paleo, Seafood, Whole 30Tagged dinner, Foodie Flattery, kid approved, one pot meals, paleo, tuna casserole, Whole30.